Located at Bullfrog Marina, Halls Crossing and Hite Marina, our spacious Family Units are a popular lodging choice for home-away-from-home comfort at Lake Powell. Each unit offers everything you need for a weekend or a week - including a living room, three bedrooms and two bathrooms with combination shower/tub. The units are fully equipped with a stove and oven, refrigerator, automatic drip coffee maker, microwave, toaster, linens, kitchen dishes (service for 8) and utensils. Outside you'll find your own charcoal grill and a picnic table. Family units feature air conditioning at Bullfrog and evaporative cooling and heating at Halls Crossing and Hite Marina. Lake Powell vacationers plan ther outdoor aventures starting in the spring (May-Oct) and will go as late as October. The air before March to May is warm but the water is still warming up and a wet suit is needed. Regular season the water temperatures are 70 to 80 degrees. 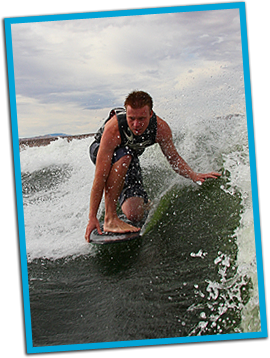 Lake Powell is one of TK Watersports premier vacation spots. 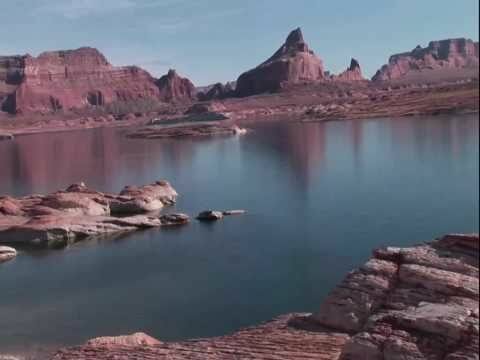 Wahweap and Antelope point the biggest marinas at Lake Powell and are located a few miles out of Page Arizona. Bullfrog Marina and Halls crossing marina are 95 mile up lake from the Glen Canyon Dam. Bullfrog is the gate way for boaters and visitors approaching from south-central Utah and Western Colorado. Lake Powell is one of TK Watersports favorite and most frequented vacation spots for the ultimate dream Watersports vacation.